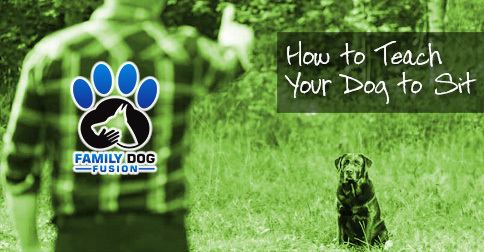 SIT is one of the most critical basic dog training commands. Use this deceptively simple routine to learn how to teach a dog to sit and stay in RECORD time. How Do You Know that Your Dog “Knows Sit”? One, did you use a treat to get her to sit? And two, can you walk away and your dog hold the command? Typically the answer is yes to the first part and no to the second part of the question. Many times during a session, an owner will put their dog into a sit while I am instructing them. I will ask them to release the dog from the command, and then it becomes apparent: most people do NOT have a release command! Also, the old school of thought is to put your dog into a sit/stay. This is when you really want your dog to hold the sit for a little longer so you ask her to stay as well. If you have to use a treat to get her to stay, is she being obedient? If she can stop obeying whenever she wants, is she being obedient? If she breaks command as soon as you walk away, is she being obedient? Obedience is the willingness to obey. So how do you teach your dog to sit obediently? With a leash on your dog, tell her to sit. Then, quickly and calmly put a hand on her chest and one hand one her rump and push her chest towards her tail while guiding her rump to the ground. Using positive tones and words to reinforce the motion of sitting then when she relaxes, stop talking, release her, and stand up. If she stays in the sit position, continue to praise her verbally (not physically at the beginning stages) for up to 10 seconds or more. It is not important how long your dog holds the command when teaching sit. The two most important lessons here are saying the command only and exactly one time, and letting your dog hear and learn the release command. That is it! Simple enough.